The People's Liberation Army Navy (PLAN) is presently undergoing a substantial modernization effort. This process has been the center of significant analysis for the better part of the last twenty years. It is quite clear that the development of a modern navy is a core component of Chinese government policy. However, this effort is presently stuck between competing efforts. On the one hand, the People’s Republic is attempting to develop a naval capability that is modern and maximizes China’s present advantages. On the other hand, there sits a desire to have a navy of a great power. In many ways these aims, channel into the same programs and do not counter to one another. For example, China’s successful efforts to produce long production runs of surface combatants is widely recognized. This success is representative of what occurs when the two aims reinforce one another. Not every decision that the PLAN faces entails no trade-off between the development of capability and accumulation of prestige. This is particularly evident in the case of their efforts to produce nuclear attack submarines. This is not the first time that a Chinese government has faced this sort of decision. During the self-strengthening movement of the late nineteenth century, the Qing Dynasty developed one of the largest fleets in the world. It was the fleet of a great power which consisted of large battleships and cruisers. The Qing Government developed this fleet with the expectation that the prestige it conferred was representative of capability. The United States itself used its fleet of battleships to announce its place on the world stage in the early twentieth century. However, the Beiyang Fleet, when tested, was soundly defeated by a better managed but less powerful Japanese fleet. Essentially, Qing Dynasty China had produced a very sharp tip of a spear while neglecting to actually develop the shaft. This struggle between prestige and capability is not a problem that is uniquely Chinese. When Gustavus Adolphus had the warship Vasa built it was designed to be a symbol of Swedish power. It capsized less than a mile into its maiden voyage due to the fact that it was too top heavy. One only really needs to look at the popular discussions that surround aircraft carriers today and the battleships of the past to see that appearing as powerful can sometimes distract from building the capability that generates power. The trade-offs between these variables can be seen in the PLAN’s efforts to develop undersea capabilities. This process began in 1993 when Beijing purchased four Russian Kilo Class submarines. These submarines gave the PLAN access to a level of technological capability that they could apply to future native designs. China made a decision however, to transition from depending on Russia to produce its ships to the development of a locally produced designs. This has had mixed results. In order to build an effective modern undersea capability, China will have to produce a large scale production run of a native design or continue to purchase from Russia. The first option requires the PLAN to reverse a long history of building not particularly capable nuclear submarines. In 1971, China produced the Type 91 Submarine, a platform notorious for its noise and poor radiation shielding. In 1981, the PRC produced the Type 92. There is an open question as to how many were produced, with rumors that a second was lost to an accident. In either case, the platform never entered into large scale production. Since that time China has struggled to produce a capable nuclear attack submarine. 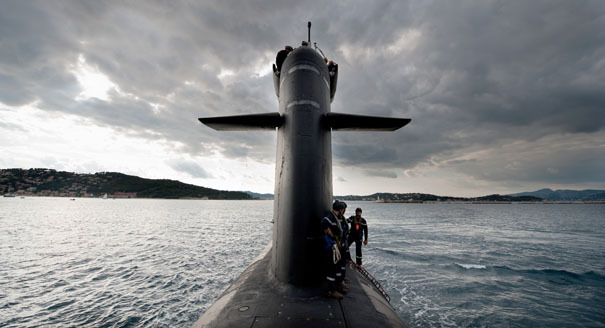 They have had more success in producing a large run of diesel submarines. The PLAN suffers from a very limited capability to engage in effective antisubmarine warfare. This compounds the need for Beijing to develop a strong platform in that space. The PLAN presently fields significantly more diesel submarines but converting this capability into a modern force of nuclear attack submarines still appears to be a long way off. Efforts to develop nuclear attack submarines have not resulted into a required platform that Beijing has been preparing to produce in the huge numbers, one would expect of a successful design. For example, the Type 93 nuclear powered attack submarine will probably be limited to a run of 5 and is considered to be louder than 1970’s-era Soviet nuclear submarines. The replacement for the Type 93, the Type 95 is estimated to be louder than a Russian Akula built 25 years ago. This makes the Type 95 an unlikely candidate for mass production as well. Narratives surrounding the production of China’s nuclear attack submarine force are often misleading. When China commissioned three nuclear submarines over a short period of time, the result was panic amongst analysts. These articles focus on the numbers of diesel submarines, combining those numbers with nuclear submarines and producing an overall number that is somewhat misleading. The PLAN also retains a large amount of older submarines. Raw production numbers of nuclear submarines however, are not that impressive. Presently the PLAN is looking to field an estimated five of the Type 93 and maybe five of the Type 95. Looking at actual raw production of nuclear attack submarines, China is being out built at a rate of over two to one when compared to the United States. The Virginia Class is also much more capable. Concurrent with these frustrating realities is the PLAN’s efforts to produce a domestic nuclear ballistic missile carrying submarine force. Hans M. Kristensen finds it puzzling that Beijing would seek to field such a force, even though it is presently attempting to do so. Kristensen points to the fact that Chinese submarines would be vulnerable to the United States Navy and that Beijing has already invested significant resources hiding its nuclear deterrent on land. In spite of this, China is investing significantly in producing ballistic missile submarines. Kristensen is right that this decision is not rational, that China has no history of running long range nuclear deterrent patrols and that the submarines are not all that capable. The same however is true of the PLAN’s aircraft carriers and it carries the same explanation, prestige. The Soviet Union and the United States operated ballistic missile submarines and their deployment is a mark of a great power. A strict effort to focus on capability would produce different priorities but the PLAN exists not just to be a navy but to be the navy of a great power. This desire might have negative impacts on PLAN its modernization program but naval procurement policy is not always rational. What this means is that while China is attempting to develop the navy of a great power, other states are gaining on it. Vietnam has purchased Kilo Class submarines from Russia. Japan is also midway through the production of its Soryu Class of attack submarine. Most importantly of all, the United States is out producing the PLAN in nuclear attack submarines in both quantitative and qualitative terms. Analysts predict regularly that China is seeking to develop its undersea capability and that it has the potential to produce a modern navy. Both of these statements might be true but China has not managed to close its undersea gap with the United States for some time. Going forward, China’s ambition to develop the navy of a great power, is getting in the way of its efforts to build a modern navy.